I am absolutely convinced that it is by tapping into curiosity that we can exceed our potential. I believe that children learn the most in an environment where inquisitiveness can let loose. I also think that excursion learning is one of the best means of making curiosity come alive. 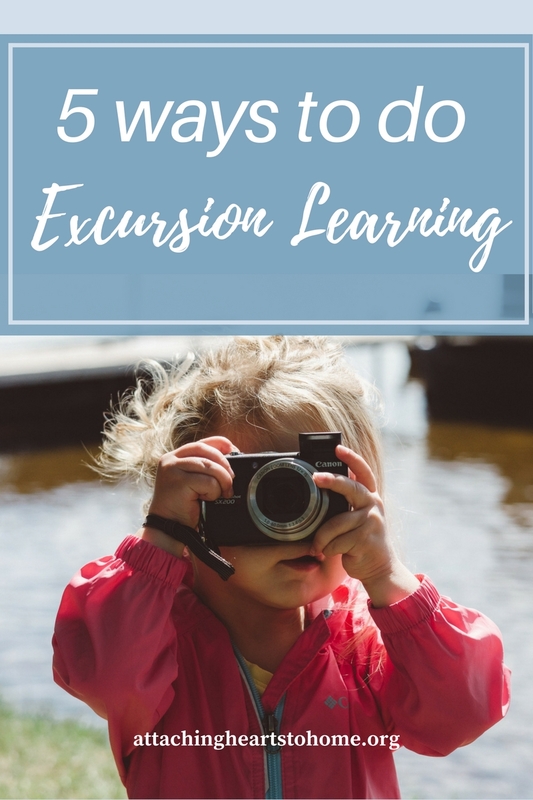 Let's look at 5 Ways to do Excursion Learning in order to cultivate curiosity and passionate learning. Take children along a park trail and ask them questions that spark interest. As you explore nature, it leads to many questions and observations. Keeping a nature journal is a fun way to share what you’ve notices and an avenue for doing more reading on a subject back at home. Go visit a person who has a skill, art, or expertise to share. Prepare for the visit by creating wonder. On your excursion visit, guide your children in the skill of finding out more. What do they already know and do they want to find out? Plan a trip with your children, even a short one. Make them part of the planning. Perhaps they’ve never taken public transit before and you’ll decide to go from a particular transit station to a destination like a certain playground or store. "What are the steps in planning for an outing? How do we know when the bus will come? Where do we find out? How much will it cost? How do we pay? How far do we need to go before we get off? What about returning? How about creating a map and itinerary?" Have a field trip day! Maybe you’ll join another group event, or maybe you’ll make it happen and invite others! The fire station, a museum, a government building, a bakery; the possibilities are many! Children remember a real and in-person visit than they do just reading about it. Have an old fashioned, outdoor games day. Invite a few other families if you like! Have your children study up before this outside adventure. Learning about pioneer or traditional games is very valuable, but it is also an exercise in good-sportsmanship, cooperation, and physical fitness. Here is a great website:Our Little House in the Country . What a gem this site is! Sometimes we can find ourselves in a homeschooling rut. We know when children start to tune out or there is friction in the home, a day out can be the cure. Make it a regular thing! Onward!